Harriet doesn't know what's hit her when she falls for bad boy rocker, Sonny, her older sister's best friend. Known for her taste in rather 'plainer' guys, she inlists her best friend, Cassie, and new English class partner, Aiden, to help her gain Sonny's affections. 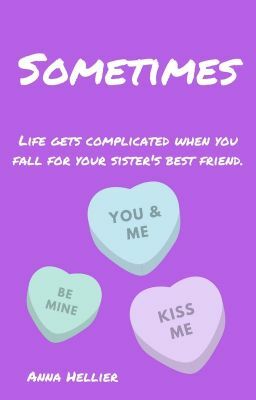 Harriet's sister, Leanne, is completely oblivious to Harriet's crush on her best friend and band mate, and it's not until she lets Harriet in on a secret, that things don't seem so straightforward anymore. What's more important; Friendship, family or love?